At least 14 people were killed Monday in Rio de Janeiro during operations by soldiers and police against drug gangs in impoverished favelas and a suburb, officials and media reports said. The military command heading security in Brazil's second biggest city said eight people died in the sweep of favelas "and there could be more." No details were given on how the people were killed or who they were. 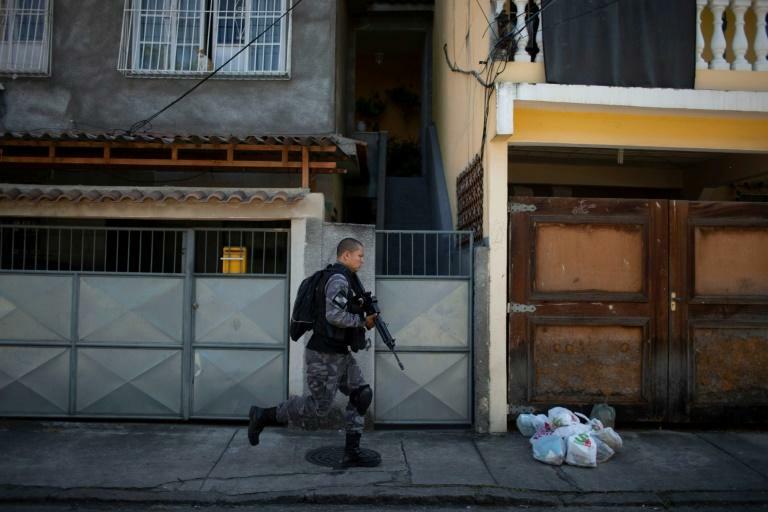 The military command said 4,200 soldiers, backed by armored vehicles and aircraft, entered the Alemao and Mare favela complexes -- poor, densely populated swaths of city in large part run by heavily armed drug traffickers. Troops removed roadblocks erected by drug gangs, followed up on tip offs against suspected traffickers, and checked vehicles and residents, the military said in a statement. In addition, "troops distributed leaflets asking for cooperation from the population," it said. In all, the military said, some 550,000 residents were benefiting from "the positive effects" of the incursion. In a separate incident in the Rio suburb of Niteroi, six suspected armed criminals were shot dead by police after a rush-hour car chase that briefly caused traffic chaos near one of Rio's main bridges, Agencia Brasil and G1 news site reported. Brazil's military took over all security in Rio de Janeiro six months ago in the face of escalating violent crime and the local police's inability to combat the well-armed drug gangs.